How many hours a day/week do I spend looking at cat-related things on the Internet? I’m not really going to share that for two reasons: 1. It’s probably a lot and, 2. I really don’t know or keep track. 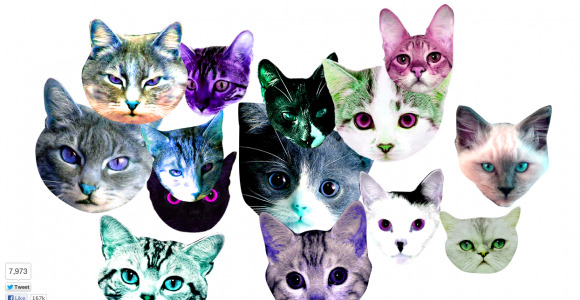 There’s an obvious reason that cats rule the Internet. Besides being really cute and also very intelligent beings, cats are a great diversion to almost any activity you don’t want to focus your attention on at the moment. Lame work projects? Check. Homework? Check. Annoying person around you? Check. General boredom? Check. This site doesn’t need a lot of explaining. 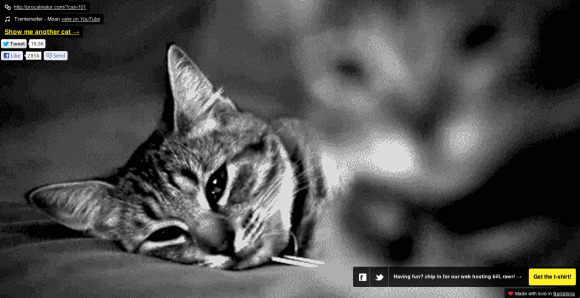 Cat gifs + music = epic distraction tool. The creators of this gem really went all out picking the best cat gifs and pairing them with songs that eerily and ironically complement the actions/attitude/appearance of each cat. We’re impressed. Oh, and tell your office mates: You’re welcome. To let you in on a little secret, this next site has been a favorite office prank around The Inlander for a while now. Here’s how to prank your friends/coworkers Inlander-style. Secretly chat or group email three or four people in a shared office space. Even if you have cubicles this prank works well. Send them the link to this site. Tell your co-pranksters to turn their volume up as loud as possible on their computer and then everyone start clicking the page randomly are various intervals. Your oblivious office mates will suddenly sense that the office is being invaded by angry kittens! Prank successful! For another mind distraction or just something to stare at on your computer screen during a total brain space out, check out this interactive site. You can click on each of the little guys and move them around on the screen, or even in a fit of rage actually fling one of the cats up out of screen view. Don’t worry, he will come back to join his jumpy friends. If you are a writer like us, this site has got to be one of the best work motivators out there. It’s the complete opposite of encouraging procrastination. 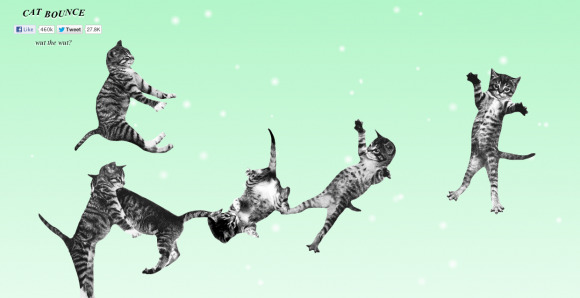 Instead of providing you with cute cats to take your mind off the most pressing matters in your life, this site uses cats to MOTIVATE you to get things done. College students, get this site bookmarked now and every paper will be done in hours less time than it normally takes. But if you do happen to get the dreaded writer’s block, just visit some of the sites above to inspire and refresh your mind. 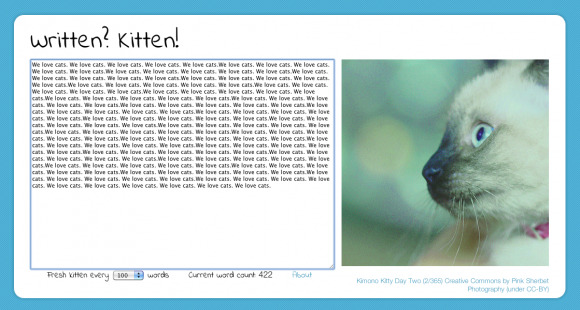 Know of a similar interactive cat site we didn’t mention? We would love to know so send us the links in the comments or to cheys@inlander.com. In other requests from readers of CAT FRIDAY, we are looking for ideas for a future post and need your help. We want to feature local cats that are “employed” by local businesses as an office cat, mascot, pest control, or stress reliever. Send your suggestions to the above email or leave them in the comments and look out for an upcoming installment of CAT FRIDAY featuring Spokane’s own business/store/office kitties!